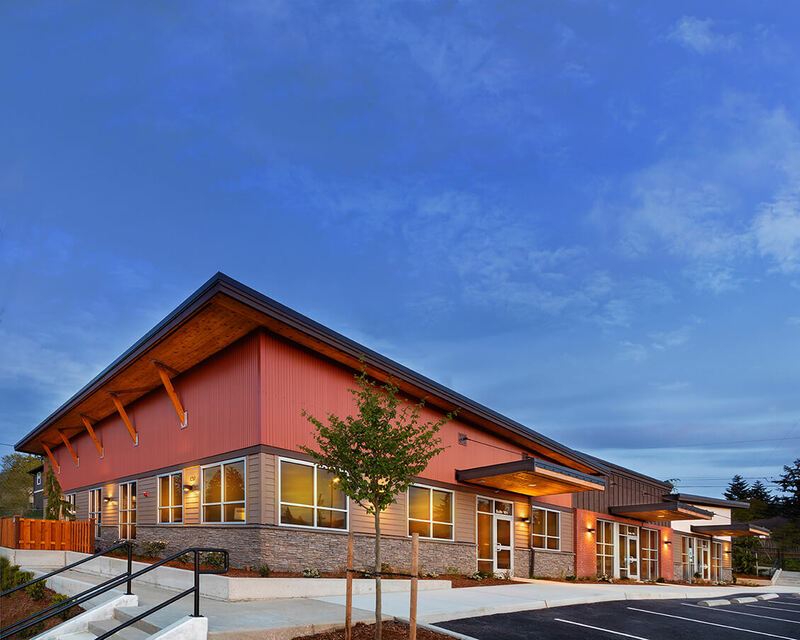 "I appreciate the accuracy and transparency of the construction cost estimates CFC provided and, as a result, there were no surprises with cost overruns." 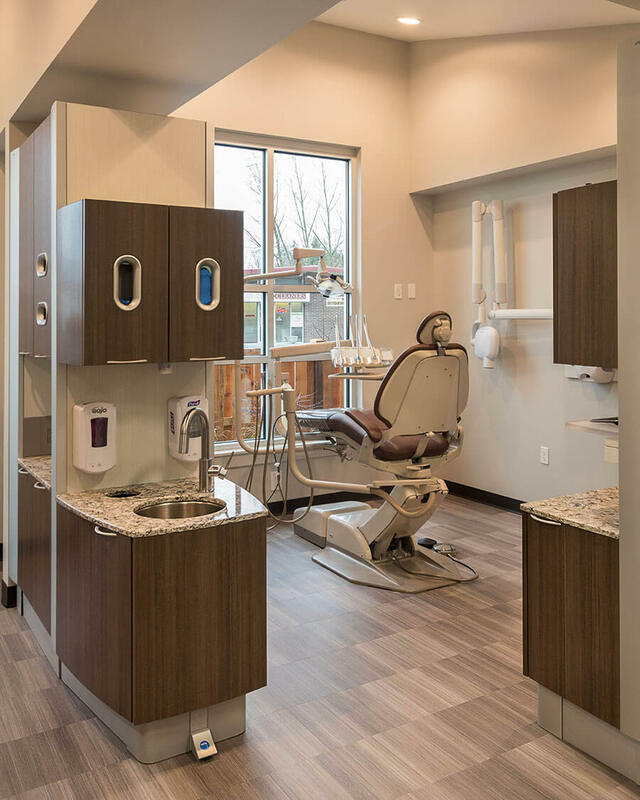 Property owner Dr. Raj Bal hired Chad Fisher Construction to build a brand-new 6,000 sq-ft office building, including 2,000 square feet of fully constructed periodontic clinic space for Dr. Bal and 4,000 square feet of tenant space for lease. The building is wood framed on a conventional concrete foundation. 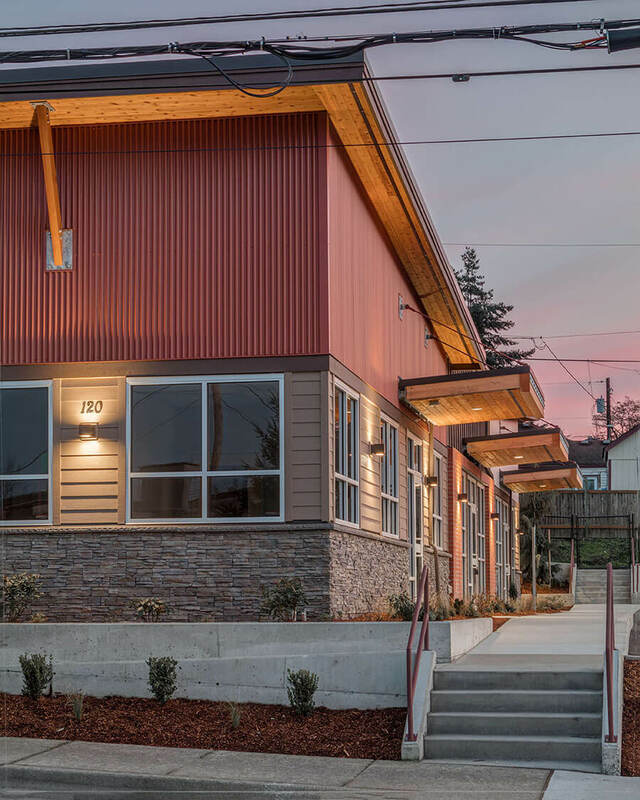 Exterior finishes include architectural metal panel, board and batten siding, brick and stone veneer, storefront glazing system and HardiePlank lap siding. The project was completed on time and under budget. The owner had a very tight schedule, and the contract stipulated the periodontic clinic needed to be operational by the last week of December 2017. 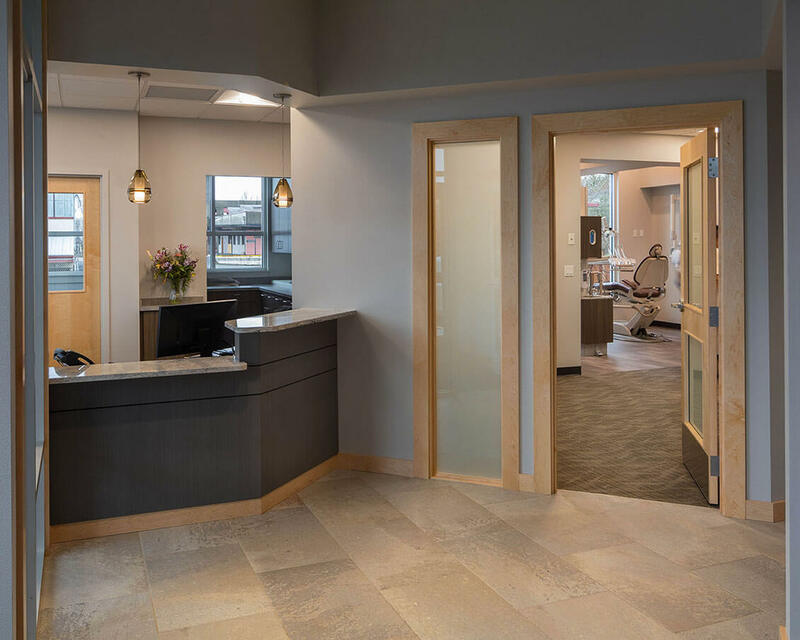 CFC worked closely with the City of Mount Vernon to ensure a temporary certificate of occupancy was obtained so the clinic could be operational by the desired date.